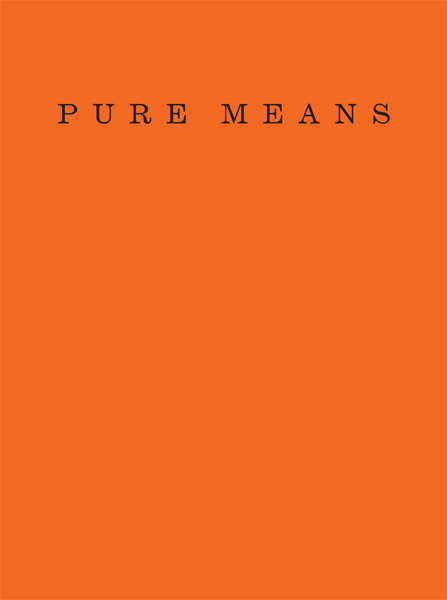 PURE MEANS draws fictional writing, philosophy and politics tight together. With two scraps of paper, scribbled down words, a crumpled photographic image, along with a gesture and an utterance saying ‘This voice is not mine’, this book unashamedly asks us to become visionaries and see what ‘pure means’ can be. 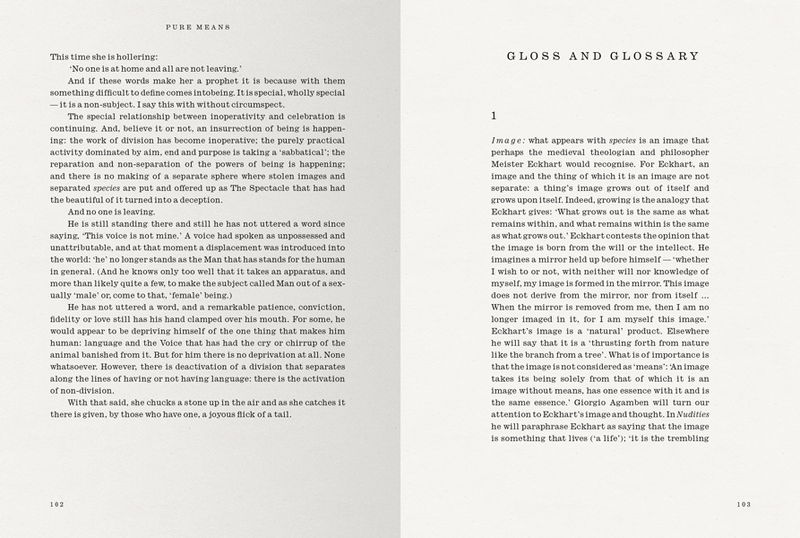 Littered with experiments, not only with writing and words, but also with the art of citation without citation marks, glosses and glossary, PURE MEANS troubles the preponderance of government today. It brings an ‘insurrection of being’ into sight, and it is magical to see. Yve Lomax is a writer and visual artist who considers the inseparability of form and content an ethic. She was educated at Saint Martins School of Art in Painting. Subsequently, her attention was turned to photography and writing. Her major publications include: Writing the Image (2000), Sounding the Event (2005) and Passionate Being (2010). She is currently Senior Research Tutor for Fine Art and Photography at the Royal College of Art.